Child & Family Services provides funding through agreements with Ministère de la Famillle, Service Canada, Health Canada and Avenir d’enfants to all childcare centres and services provided in Eeyou Istchee. The Child & Family Services department is mandated through several agreements to provide technical and administrative support to all Cree childcare centres in Eeyou Istchee. We seek to empower families in Eeyou Istchee by enhancing the quality of their services, which in turn develops their autonomy. We nurture our children and families by choosing to serve with Cree values, culture and language at heart. We are working together for the future of our children. The Cree Childcare Program is funded through an agreement between the Cree Human Resources Development Department (CHRD) and Service Canada. This program allows local childcare centres to improve the ratio of children to educators, thus enhancing the quality of services. The Cree Head Start Program is funded by Health Canada. Through this program, educators facilitate educational activities within childcare facilities or through home visits for families of children who do not attend the childcare centres. Home visits are a great way to introduce developmental activities for young children and to help children and parents alike discover the joys of learning through play. Other activities offered through the Head Start program included services for children who have special needs, various stimulation activities for children, parent-child playgroups, parenting workshops, nutrition workshops, first aid training for parents and various events to highlight the special bond that connects the Cree communities with young children. The Maternal and Child Health Program is funded by Health Canada. 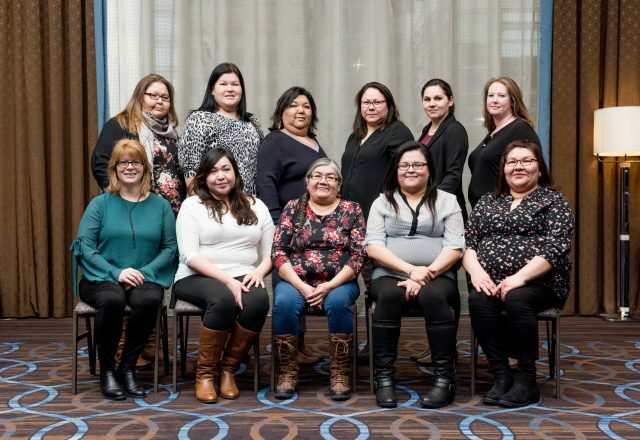 This program allows us to establish a partnership with the Cree Board of Health and Social Services of James Bay in order to deliver health promotion services to children and families, through the Â Mashkûpimâtsît Awash program. Our latest agreement, Avenir d’enfants, is funded jointly by the Chagnon Foundation and the Government of Québec. This program will allow us to contribute to the overall development of children five and under living in poverty, and to help ensure that every one of them has a chance to get a good start in life. Many projects will be implemented in Eeyou Istchee in the near future to further these goals. Provide technical and administrative support to childcare centres in Eeyou Istchee. Act as the liaison between funding sources to our childcare centres. Provide training and development to all childcare employees. Maintain and conduct necessary renovations of childcare facilities. Partner with other entities who support early childhood development.